Information Articles - Important Changes For Equine Owners - Ownership Identification Inc. 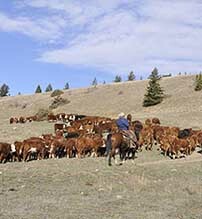 Effective January 31, 2010, equine owners, intending to sell animals directly or indirectly to Canadian meat processors, are being advised to record certain information. Equine owners who wish to keep their sale options open should record all vaccines, medications given (administered or fed) to their animals and record any occurrence of illness in their animals. The collection of this information will better prepare the equine industry for July 31, 2010 when it will be mandatory for all federally-inspected equine facilities to have complete records dating back six months for all domestic and imported animals presented for slaughter. In order to help owners collect all of the necessary information, the CFIA is launching a new Equine Information Document (EID) that can be found in the Meat Hygiene Directive no. 2009-49. The EID is the first step in the development of a comprehensive food safety and traceability program for the Canadian equine industry - for both domestic and international markets. Anyone selling equine may have to provide an EID at ownership transfer. The document will require an owner-signed declaration to verify the accuracy of the information. 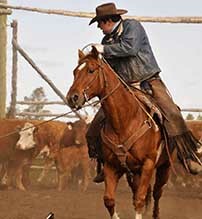 There are a number of medications and substances that are prohibited from being given (administered or fed) to equine intended to be slaughtered for human consumption. A list of these medications and substances can be found on the CFIA web site. For the latest information about identifying and recording health information for your equine, please visitwww.inspection.gc.ca or call 1-800-442-2342.